Marianna O'Gallagher was born in Sainte-Foy to parents of Irish descent: Norma O'Neil and land-surveyor Dermot O’Gallagher. She taught for many years at St. Patrick’s High School, where she acquired a reputation for her infectious enthusiasm, wit and passion for community history. While employed as a teacher, Mrs. O'Gallagher obtained first a B.A. then a Master’s degree in history. The subject of her Master’s thesis was St. Patrick’s Church in Old Quebec, and her abiding interest in the history of Quebec City’s Irish population later inspired a number of scholarly and popular works, including "Grosse île: Gateway to Canada 1832-1957" and "Eyewitness Grosse île 1847". Through these writings Mrs. O'Gallagher helped raise public awareness of the tragic history of the island quarantine station, where an estimated 6,000 immigrants from famine-ravished Ireland died. In 1973, Mrs. O'Gallagher founded a community organization called Irish Heritage Quebec, which seeks to preserve and promote local Irish history through popular activities such as lectures. In 1981, she launched her own publishing company, Carraig Books, specializing in works from Quebec with an Irish connection. 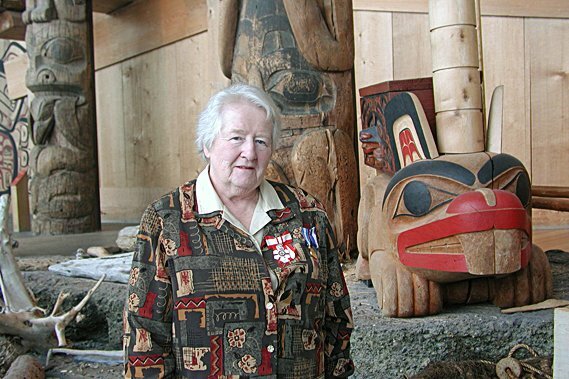 During the 1980s and 1990s, she served on a government advisory committee, working tirelessly to commemorate the Irish famine and its consequences for Quebec and Canadian history. 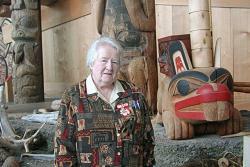 She was subsequently instrumental in the creation of the Grosse île and Irish Memorial National Historic Site in 1996. Marianna O'Gallagher continues to be a driving force behind Quebec City’s understanding and sharing of its past, and is regarded as an exemplary volunteer. In addition to her duties as president of Irish Heritage Quebec, she is a member of the Historical Society of Quebec and has served on the organizing committee for Quebec City’s 400th anniversary. Her previous honours include the Ordre national du Québec (1998), the Order of Canada (2002).